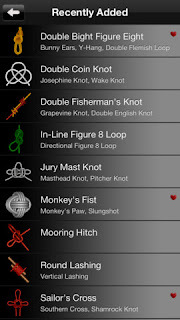 Developer Quote: "Tie, untie and rotate 85+ knots with your finger in 3D! 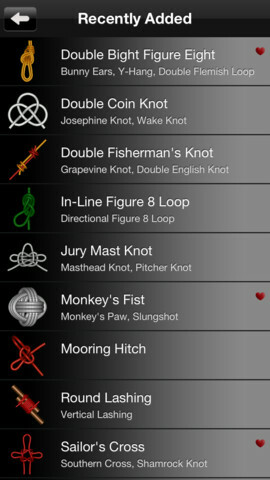 Knots 3D, our top-rated 3D knot app, will give you a whole new perspective on knots! Grab a piece of rope and have fun!" - 100% localized for a dozen languages: English, Chinese, Danish, Dutch, French, German, Italian, Japanese, Korean, Portuguese, Russian and Spanish! 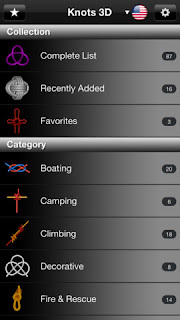 Larks Head Hitch, Double Sheet Bend, Figure 8 Knot, Figure 8 Bend, Figure 8 Loop, Fisherman’s Eye, Fisherman’s Knot, Jar Sling Knot, Loop Knot, Overhand Knot, Perfection Loop, Rolling Hitch, Round Turn & Two Half Hitches, Running Bowline, Square Knot (Reef Knot), Sheepshank, Sheet Bend, Stevedore’s Knot, Surgeon’s Knot, Surgeon’s Loop, Taut Line Hitch and so many others. COOL CONCLUSION: Whatever your reason for enjoying knot making, you will love the beautiful 3D appearance of Knots 3D, as well as the detailed and bountiful information on producing knots of all kinds.